As usual, another of your educational and enlightening posts. Wonderful summaries and comparisons. Thank you! Thank you, Decker, I appreciate that very much! Two great stories, and I love the comparison! This is a brilliant piece, Elisabeth. There is so much here, in a few words. “Her sudden death slowly makes Yakov realise that his life has not been about material missed opportunities, but about the immaterial things that he missed out on because of his behaviour”: What an insight! One that we can all learn and perhaps profit from. Rothschild’s fiddle for some reason made me think of the devil and the fiddle in Stravinsky’s L’historie du soldat. Thanks, Elena! It’s always interesting to see how Pushkin provided the basic theme for others to make their own. Thank you so much, Roger! Yes, that is precisely what these stories are about, if you go about life being grumpy, materialistic and suspicious, you’ll miss out on opportunities to really connect with other people. I love that Yakov not only leaves Rothschild something material, a beautiful violin, but also something immaterial, a melancholy song. I’ll have to look up Stravinsky’s L’historie du soldat, but it’s of course possible that there was inspiration from Chekhov’s story. I’ve not read The Undertaker but Rothschild’s Fiddle I really like. Really interesting post – I’ll try and hunt down a copy of The Undertaker now! Thank you again, it’s much appreciated. Pushkin had a rare talent for language, poetry, satire and clarity. 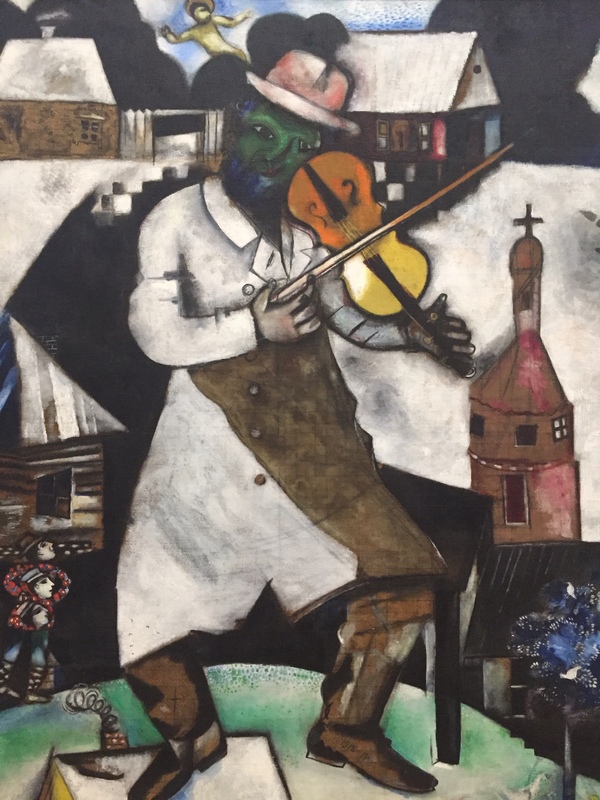 Igor Stavinsky’s ‘Histoire du soldat (The Soldier’s Tale) was conceived by Stravinsky and Swiss writer C. F. Ramuz based on a Russian folk tale (The Runaway Soldier and the Devil) drawn from the collection of Alexander Afanasyev. So I was misleading in a way, but I was only thinking of what the Chekhov story brought to mind. What brought it to mind is the character of the devil in the piece and how the devil tries to get the runaway soldier’s fiddle. I have listened to it on YouTube, its very beautiful. Thank you too, Elisabeth. I also love making these connections. Tot voor kort kreeg ik uw mails ook in het Nederlands. Dat vond ik wel fijn. De Engelse versie stuur ik vaak door aan een Amerikaanse vriend van me. Toch vind ik het ook wel fijn de Nederlandse versie te ontvangen. Waar heeft u Russisch gestudeerd? Ik vind erg leuk om te horen dat je mijn blogposts leest en zelfs doorstuurt naar een Amerikaanse vriend! De overgrote meerderheid van mijn lezers is tot mijn grote verassing Amerikaans. In eerste instantie schreef ik ook in het Engels zodat mijn Finse partner en andere niet-Nederlandse vrienden mijn blog konden lezen. Maar na een paar jaar heb ik besloten het op te splitsen in twee aparte blogs, om het leesgemak voor de buitenlandse en Nederlandse lezers te vergroten. De Nederlandse versie heet eenrussischeaffaire.wordpress.com. Ik moet toegeven dat ik niet altijd tijd maak om ook een Nederlandse versie te maken, dus de blogs zijn niet helemaal hetzelfde. In de nabije toekomst verwacht ik meer tijd daarvoor te hebben. Ik heb Russisch gestudeerd aan de UVA, ik heb mijn studie niet afgemaakt, maar de liefde voor Russische literatuur is gebleven en ik schrijf er met heel veel plezier over. Really interesting response, Elisabeth. Using Google Translate, I was able to “decode” to it. It’s fun to pretend I’m reading Dutch.